The government declared a “smog alert” here today. It will last for a week if anything from the past is an indicator. The purpose of the “smog alert” is to reduce the speed on the roads, especially the highways. 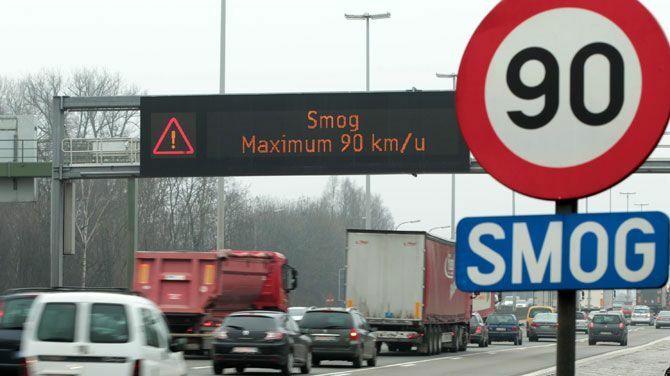 Highway speed is limited to 90 km/h on days when “smog alert” is in force. The smog is caused by a cloud of particles (pollution) brought to us by wind from the east, it is not originating in the country. The morning traffic jam was exceptional with roughly 400 km of jams covering the country (against the usual 100 km). The number of accidents was something extraordinary as well, although they did not provide specifics. Traffic jams happened even in places that never see traffic jams and without visible cause (like road works or an accident). Managing a country is similar to managing a corporation, the basic rules are the same. So there is nothing wrong with the businessmen looking at the governmental decisions from the business point of view. What do we have?